Starbucks is opening more stores in inland Chinese cities, such as this one in Chengdu, Sichuan Province in Southwest China. Starbucks is selling a lot more coffee in China. According to its latest quarterly report, Starbucks (SBUX) saw a 30% year-over-year jump in revenues from its Asia-Pacific region, lifted by outstanding sales in China. "The very strong sales volumes prove that the coffee concept can succeed in traditional tea-drinking countries," said R J Hottovy, director of consumer equity research at Morningstar, Inc. "It's resonating very well with [inland] cities." Starbucks' solid sales growth in the region was driven by the 500 new stores it opened there last year, and its Asian expansion plans aren't slowing down. The Seattle-based coffee giant said it plans to open its thousandth store in China by the end of the year. In addition to already being in major cities like Beijing and Shanghai, the company says its stores will have penetrated lesser-known cities. By 2014, Starbucks said China will surpass Canada to become the second largest market, after the United States. In the last five years, overall retail coffee sales in China climbed by 10%, beating growth in Hong Kong, Japan and the 3% global average, according to data from research company Euromonitor International. 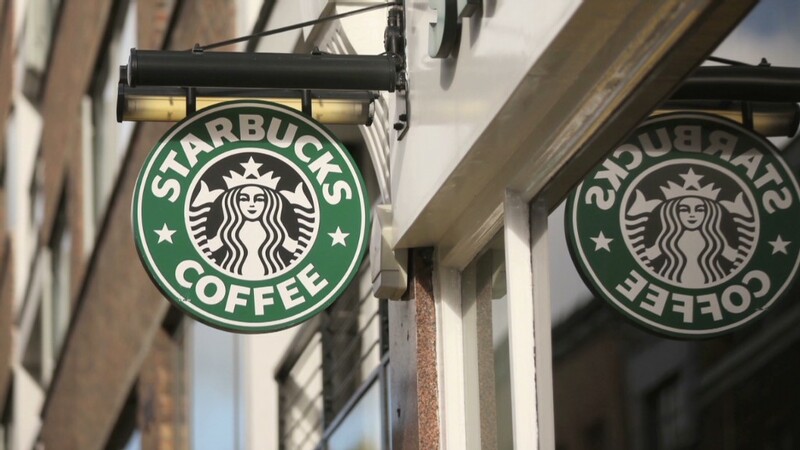 Starbucks said its marketing strategy in China is similar to that of its Western markets. It continues to focus on its core food and beverage products while also offering other locally oriented choices. "The demographics they are targeting are younger and more affluent groups," Hottovy said. Starbucks opened its first store in Taipei in 1998, followed by its first mainland China store in Beijing in 1999. But the coffee shop market is beginning to heat up. "Increasing competition will be the most pressing issue as more Western coffee brands enter the Chinese market," he said. In 2012, an average Chinese person consumed about two cups of coffee per year. That's a far cry from the global average of 134 cups a year, according to Euromonitor. Coffee has less than 1% of the Chinese hot-drink market share. By contrast, tea makes up 54% of the market. "It's still too early to say that coffee is going to replace tea, or that the Chinese flavor profile is changing," said Dana LaMendola, analyst of hot drinks at Euromonitor. 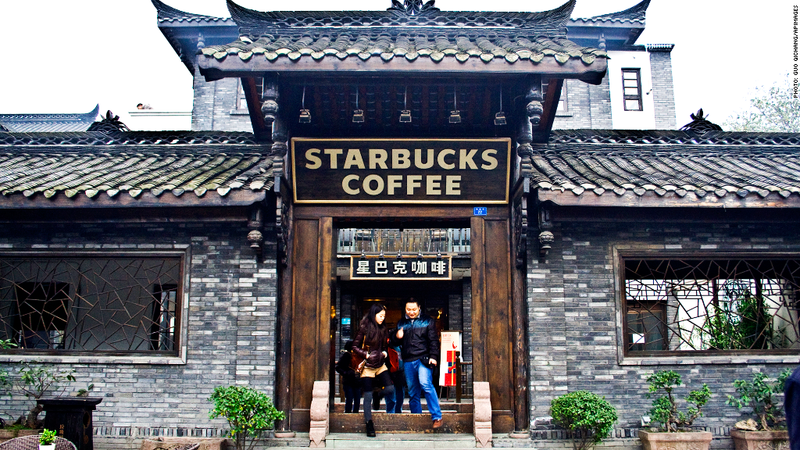 Correction: An earlier version of this article incorrectly stated that Starbucks opened 500 stores in China last year. The stores were opened throughout the Asia/Pacific region.